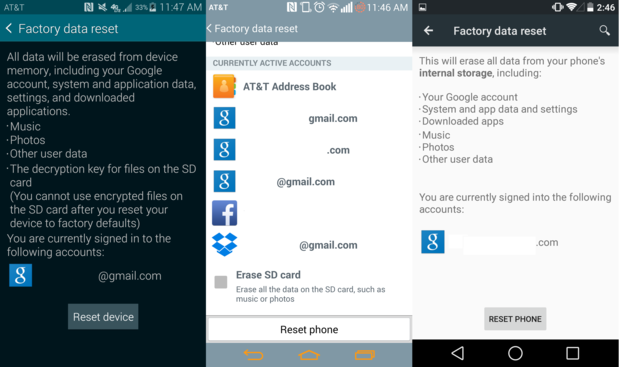 If you're looking to get rid of your Android phone, or just start with a clean slate, you'll want to perform what is called a "factory reset". It's so-called because it restores your phone to the state it was in when it left the factory; it's a "fresh from the box" software reset. 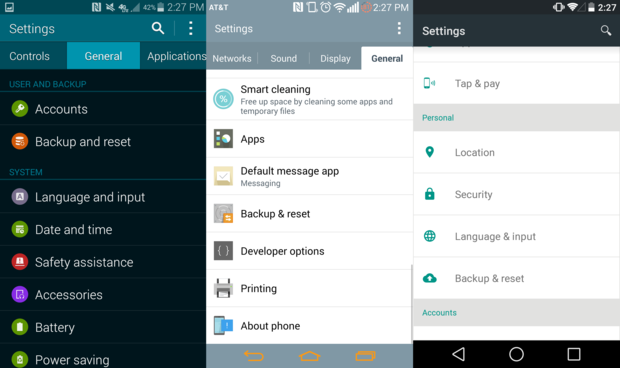 As with every other smartphone operating system, Android gives you the option to wipe your phone or tablet within the settings menu. While the standard procedure is usually good enough, those with enough know-how can possibly dig up your old data, so you should consider encrypting your phone before resetting it if you're going to sell or donate it. If you're just wiping your phone just to start over from scratch, be sure to backup the data and content that's important to you. You can find a great list of backup options right here. 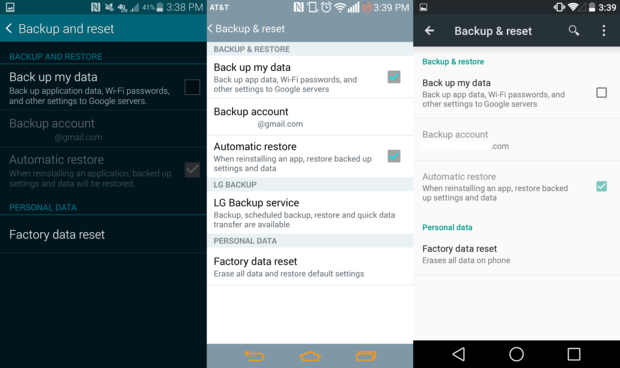 The Backup and reset menu is found in the same general area in most Android phones. The Backup and reset menu should be easy to find on just about any phone. As the name suggests, the Backup and reset menu allows you to back up data and reset the phone to its original state. Some phone makers offer their very own backup services, so you may find an extra option or two in this menu. At the very bottom of this menu is where you'll find the reset option. The Backup and reset menu comes with few surprises. Tapping on this option will detail the actions that will be performed, which include deleting all data from the device. 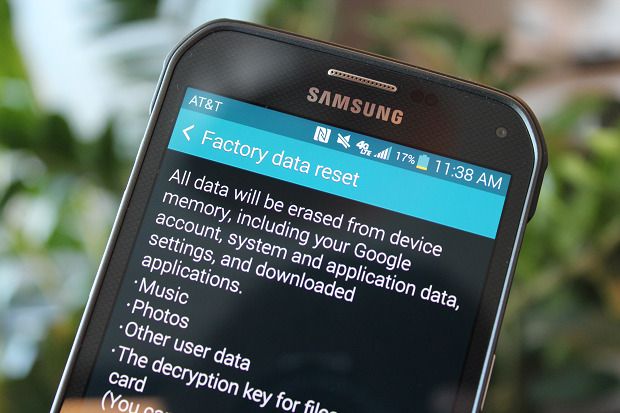 The reset menus on the Galaxy S5, LG G3, and Nexus 5 with Android L only look different. If your smartphone or tablet has expandable storage, the menu may ask if you'd like to wipe the external memory card. This completely up to you, but is completely unnecessary to the wiping process. After pressing the Reset phone or Reset device, the phone will reboot into Recovery mode and begin to wipe the phone or tablet. After the phone reboots, it will be returned to its factory conditions and ready for you to set it up again, or give it to a new user. 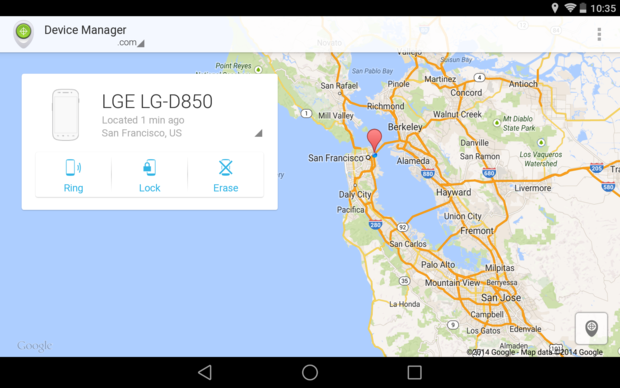 Android Device Manager allows you to wipe, lock, and ring your phone remotely. Let's say, unfortunately, your phone is stolen. What do you do? Options for recovering or wiping your phone remotely are available through many sources, but one of the easiest ways is by using Google's free service, Android Device Manager. With Android Device Manager, there's very little setup involved. All you need is to have the app installed on the phone you want to remotely wipe. From the web, or even another smartphone, go to Android Device Manager website and log in to the Gmail account associated with the phone. 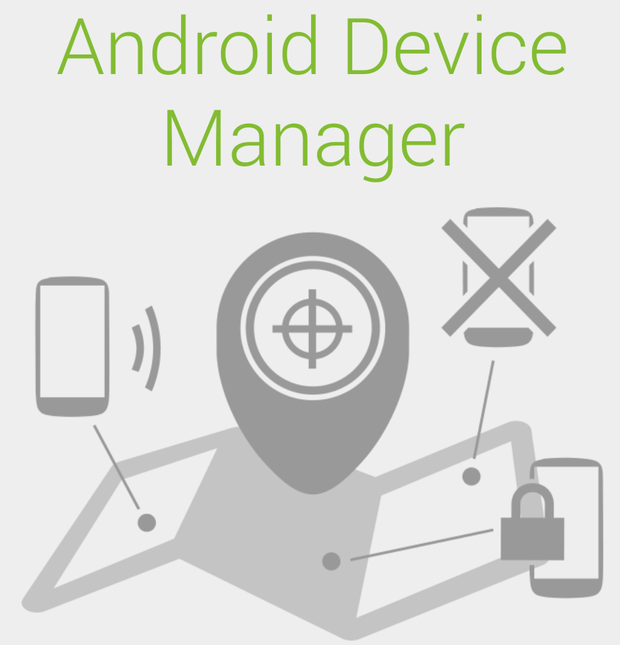 When successfully logged in, Android Device Manager will begin looking for your phone. Once found, the options to ring, lock, or wipe your phone become available. Tapping the Erase option will bring a up a confirmation menu. Once confirmed, the selected device will be erased and returned to its factory settings.